Picture is not necessarily an accurate description of all the flavors we carry! Scroll down for price sheet! We can also order Milk & Chocolate Milk in gallons & half gallons for you. We order weekly so you know it is fresh!!!! 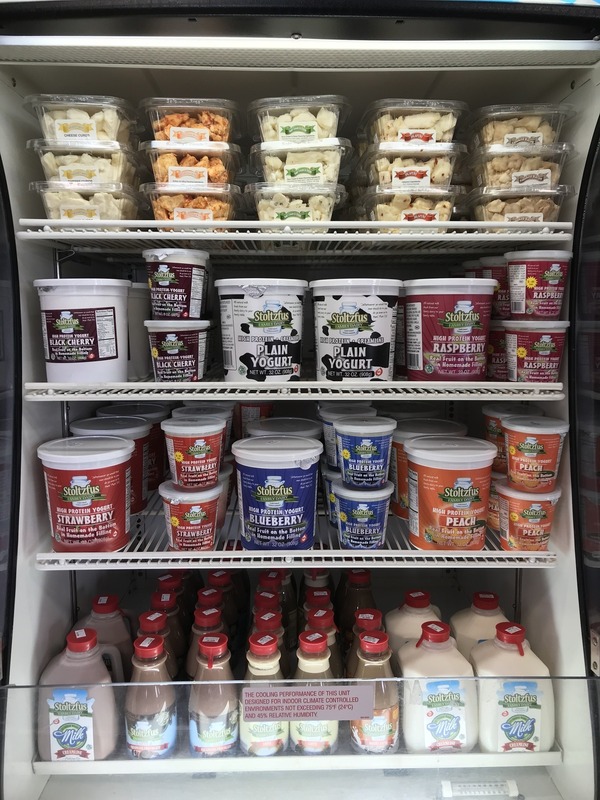 If you are interested anything else that Stoltzfus Family Dairy offers that we do not carry, let us know and we can order it for you!!!! 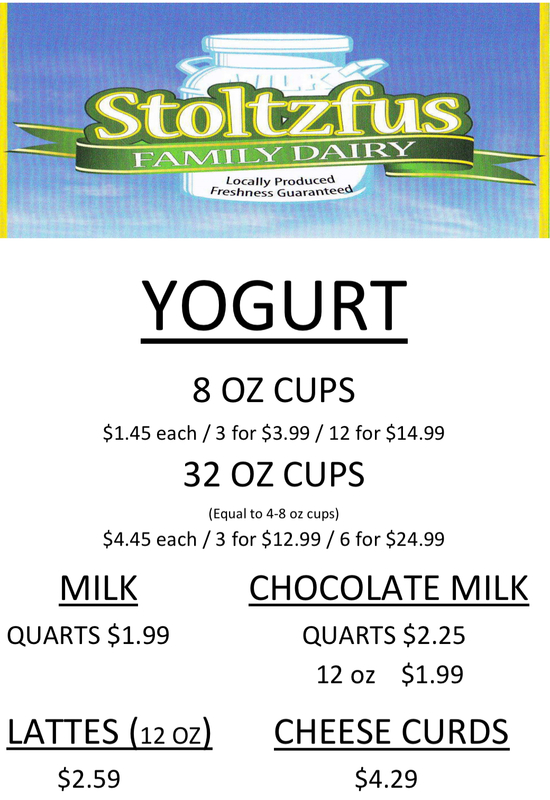 Click here to learn more about Stoltzfus Family Dairy!! !